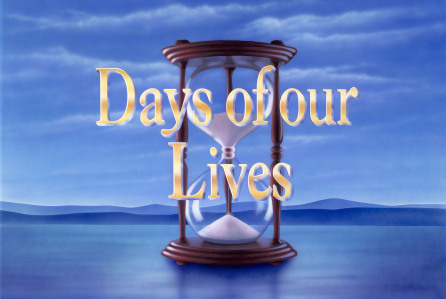 Check out the day-to-day spoilers to find out what's happening on NBC soap opera Days of our Lives during the week of December 12, 2016. Nicole and Eve catch up and go over their hardships from losing loved ones. Roman and Hope meet with Hattie, who’s asked for help. Philip, under the influence of truth serum, is questioned by Deimos about Chloe. Deimos lays out his theory about Chloe to a skeptical Brady. Steve and Paul meet with Sonny to update him on the Hernandez case. Steve and Kayla share some romance as he presents her with an early Christmas gift. Derrick asks Paul if he has feelings for Sonny. Nicole admits she’s finally ready to move on with Deimos. Kate supports Adrienne through her ordeal. Deimos privately fills Brady in that he’s getting closer to uncovering the truth. An argument escalates between Jade and Joey until she starts having serious pains. Abigail is finally ready to let Chad know she’s alive. Andre tells Chad about his technology venture. Gabi is stunned when she overhears JJ's conversation with Jennifer. Coco and Sheila plan to take Hope down. Abigail makes a move to regain Chad and Thomas. Gabi puts JJ to the test. Theo starts to wonder if Ciara has feelings for him. Theo witnesses an intimate moment between Abe and Valerie.